With ministerial profiles and/or resumes in hand, the time has come for the search team members to name which candidates they would like to invite into conversation. Drawing upon the already-established process for moving forward, the search team sets up interviews with and offers more information to continuing candidates, thus fostering relationship and mutual investment. In this phase the process moves from reading papers to live interaction. The search team delves deeper into the gifts and passions of candidates, allowing these ministers to show where they meet and challenge the team’s criteria and assumptions. The candidates explore the position and the context with their questions and their observations of the search team’s dynamics. The search team and candidates then decide whether to pursue further conversation with one another or to part ways graciously. In this phase the search team is considering what it would look like for each of the remaining candidates to be the church’s minister. At the same time, the candidates are imagining what it would be like to work and live in your congregation and community. By the end of this phase the search team will be ready to recommend the candidate whose abilities align most closely with the church’s leadership needs for its God-given direction. Having gathered information from a variety of sources and listened for God’s guidance through it, the search team is ready to present its candidate of choice to the body (e.g., governing board of the church, congregation as a whole, judicatory) that extends the call. When the search team sets up the candidate of choice to make the best possible first impression, the church is eager to welcome the candidate, paving the way for a fast start in the new position. 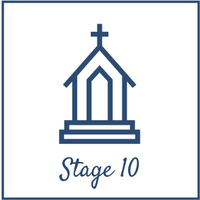 Note: Denominational/congregational processes have differing guidelines regarding how many candidates to present to a congregation and/or its leaders. Some say only one, while others leave the option for multiple candidates.